Interview with Cyan Ta'eed Envato. “It was only when I started saying ‘yes’ that things started happening. It was the wrong way around from what I’d imagined.” Cyan Ta’eed Telstra Victorian Business Woman of the Year. Cyan Ta’eed co-founded super-successful digital goods company Envato from her garage with her husband Collis and friend Jun Rung. Their company is like Ebay for web designers and developers and has 5.5 million members worldwide. For the record, The Conan O’Brien show is a customer (don’t know why but I think that’s very cool). Martine Harte: Cyan you told the audience that you and the other finalists don’t possess some magic skill set but what you have in common is you decided to ‘try’ what do you mean? Cyan Ta’eed: It’s very easy when you look at people who’ve done exceptional things to think somehow they’re different, I used to think. ‘one day I can do exceptional things,’ but I always felt it wasn’t me now. Envato took off like a rocket and there were suddenly lots of opportunities at my door; for quite some time I said no because I was afraid of failing. It was only when I started saying ‘yes’ that things started happening. Three people founded your company, you were 25-years-old and didn’t think it was going to be big! Cyan Ta’eed: No, all of us were selling stock photography and a little bit of stock flash and we realised the people who were making this stuff were earning twenty percent from every sale, sometimes as low as ten percent, and it didn’t feel like an equal partnership. We thought maybe we could do this better; so we created a platform where designers like us could sell stock. Today you have 200 staff and have delivered over 300 million in earnings to the creatives that sell with you. Yes, that’s how much authors have earned with us. Like many start-ups you have struggled – big time. Six months into your business things weren’t looking so pretty were they? Cyan Ta’eed: We were deeply in debt. I had a small graphic design business (that was the breadth of my business experience). We decided to launch and thought, ‘Oh yeah, it will take three weeks to build, so we hired a developer and completely underestimated how long it would take. It took three months and we burnt through all our savings (which wasn’t much at the time) luckily we borrowed a bit of money from my husband’s parents, and ended up living in my parent’s basement and working our of their garage. I remember my dad buying me a pair of shoes at one point (laughs) I’m very grateful to my parents. We didn’t take a day off in six months. Then it launched and very, very slowly it started to gain a bit of traction, but even then we didn’t take anything out of the business for the first two years. Can you share what you regard as the biggest threats to start-up success? 1/ Resist the temptation to throw everything into your first business idea. 2/ Test the idea to see what the market wants first. 3/ Take a minimal viable product approach. Best tips for women in general when it comes to our working lives? 1/ Decide it’s ok to seize the reins. I feel women have a tendency to step to the side occasionally – not all women – but it is something we tend to do. 2/ Consider a career in technology. 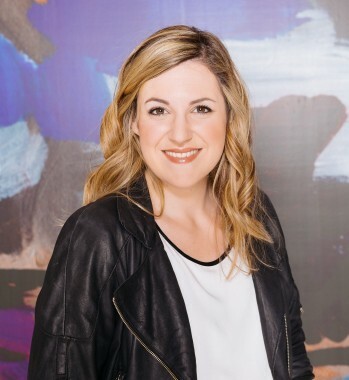 Within tech, everyone’s getting on board; everyone’s looking for female talent, and diverse talent I should mention, not just women and it’s hard to find. It’s a lucrative career. When you were 7 months pregnant you founded New Day box, a brilliant idea which sees a box delivered to women living in crisis centres. Your team delivered 3,000 boxes this year. Awesome! Cyan Ta’eed: I wasn’t the best person for the job, I didn’t know anything about domestic violence and I didn’t have any experience running anything like that, there are plenty of people who would’ve done a better job, but we saw the need we decided to give it a try and we figured it out. Key note speaker: Stephanie Alexander. Telstra Group General Counsel Carmel Mulhern. 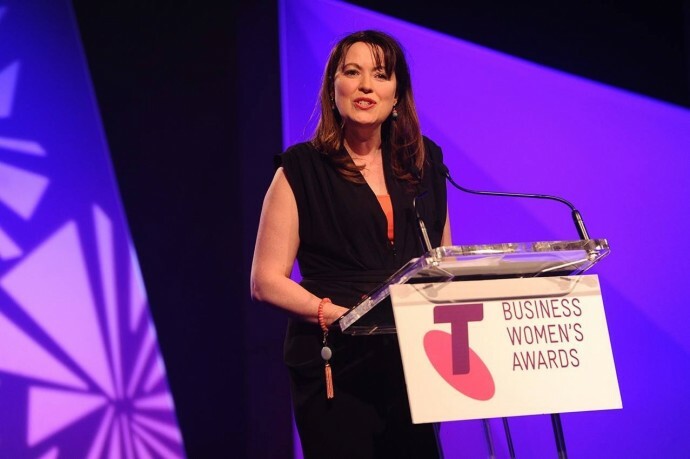 Each year I’m blown away by the talented women who grace the Telstra Business Women’s Awards stage. It’s a reminder that we can all achieve big things, particularly if we support each other along the way and ditch the notion of perfection. Tagged in Entrepreneurs, envato, Telstra Victorian Business Woman of the Year, Telstra women in business, women in technology.